I've been away from the computer for a bit as I've had a friend visiting from Denver. We had a very good time with sightseeing, visiting yarn stores and going to the Olds Fiber Festival, etc. 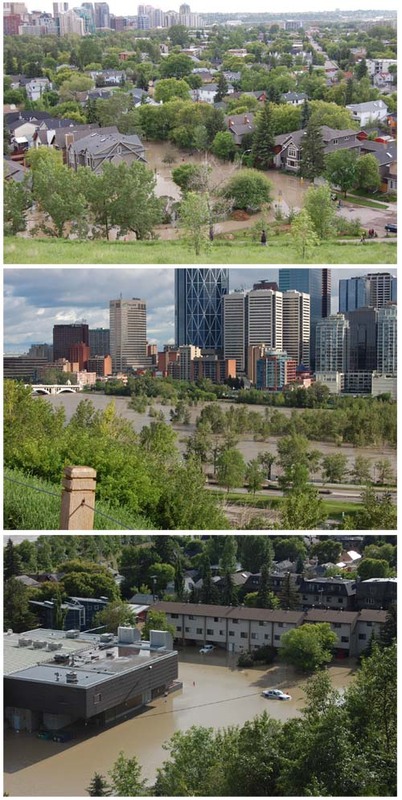 An unexpected occurrence this week was the flooding in Calgary and area. We were lucky to have gone to Camrose and Banff two days before the flood that cut off both of those cities. We drove all over Calgary on the day before the flood. We were fortunate in the timing of our various day trips. More about those later. Yes, that's a police car in the water in the last photo. These pictures show only a tiny part of the devastation in Calgary. Horrible! Glad that you live on a hill.